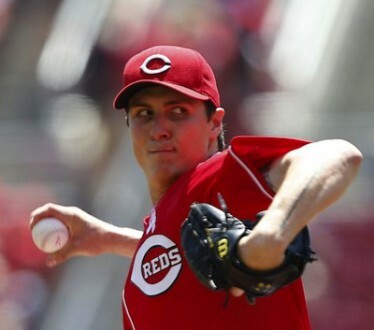 I was on hand to watch Homer Bailey throw his third rehab start for the Louisville Bats Thursday night. Bailey was a little iffy on command but the velocity was up from his previous starts (he sat 93-94 instead of just touching those numbers once or twice) and he seemed much more relaxed on the mound. He threw 51 pitches through 3 2/3 innings with one strikeout and no walks. I spoke to Bats manager Delino DeShields and Bailey after the game. DeShields on Bailey: The ball was coming out a lot cleaner. I thought Homer made some real strides tonight. Bailey said he expects to make 1-2 more rehab starts but demurred when asked what would happen after that. Also said he had some in the tank and came out only because of the pitch count he was on tonight. It was clear that Homer was trying to work on very specific things and, at times, that led to poor results. In other words, it really was like a spring training start. He’s a Good Fastball Hitter! Should Brandon Phillips Be a Part-time Player? This is going to sound like a kid in a candy store but that is really cool that they let you have press access and talk to those guys. Not sure who to give props to for that but, that’s awesome! It’s pretty cool, and we’re really thankful to the Bats. 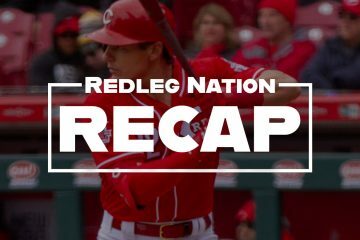 We’ve been able to get time with Peraza, Reed, Disco, Lamb, Lorenzen, Bailey, and assorted others. Not to mention Bats management and coaches. It’s been great and hopefully informative to everyone reading. Good reporting, Jason. Interesting insights. Thanks. Yes, the commenters at RLN also appreciate that they have recognized the RLN staff as “press”. I really wish the Reds would. Other MLB teams are doing it for some of their most popular blogs. I hope one of the ‘guys’ is Robert Stephenson! The only thing holding back Stephenson from making a permanent transition to the Bigs is his command and control. As a successful verteran pitching on the big league staff, Bailey could have a major positive impact on all the young starters in the rotation, especially with his early struggles and growth. The 40-man roster spot for Bailey is open and waiting. 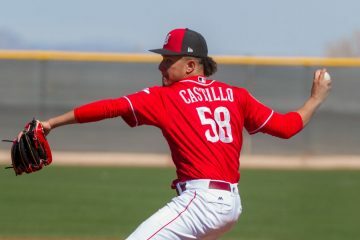 If he stretches out to 80+ innings in his next start and everything continues to improve, it would be nice to see him on a major league mound again in less than 2 weeks. How about a compromise and 80+ pitches or 8-9 innings, whichever comes first? Good point, I would think Bailey could really help Stephenson as it seems to me that Bailey is the closest comp to Stephenson that we’ve seen in recent years. I agree Cossack. I’ve been saying for a while, that our young staff hasn’t had the benefit of an established veteran to lean on for advice. That sort of intangible is hard to come by. Thanks for all the first hand Louisville coverage.Good to hear that Homer has a solid grasp of where he is at and what he wants to get done when. This makes the first effort seem all the more like a seat of the pants thing and begs the question, why, in a year like this? I hope at least the first go-around wasn’t a seat-of-the-pants thing. I would like to think the training staff was going off how Homer was feeling. Remember, during spring training he said he felt good and on course. Once he felt some discomfort and told the trainers, they shut him down for a short spell. They got him back on course. It isn’t automatic that pitchers come back from TJ surgery. The percentages are high, but it isn’t automatic. I am thankful that it looks as if Homer will get a good amount of starts, 10 or 12, to go into winter and next year. I like the fact that he came out and said what he said about no BB’s. Let’s hope it trickles down to the younger ones. I knew we wouldn’t see him up here until after AS break. I recall you saying that. Yes, you indeed called it. Homer mentioned late in the Spring that they had looked at outcomes from pitchers that came back sooner rather than later from TJ surgery. I think it expressed his underlying concern about re-damaging the elbow, even if initially he felt “great”. All the strength was coming back, but it’s a difficult judgement to determine just how strong that repaired elbow is until you pitch with no pain or discomfort, or tear it up again, which is then too late. I also think that Lamb lost a lot of core strength when he had back surgery last winter, due to that interval with no excercise/ training. I think it will be 2017 until his core strength is back to where it should be. There is nothing “wrong” with him, but I think it could be a stamina and overall strength / velocity issue. It’s not his arm, it’s just not as much strength in his “core”; back, torso, legs, etc. that all has to work to drive his pitching.